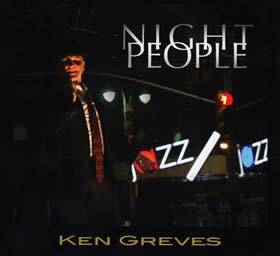 The vocalist Ken Greves has taken it upon himself to champion repertoire that is often neglected songs by prominent songwriters, written over the years. 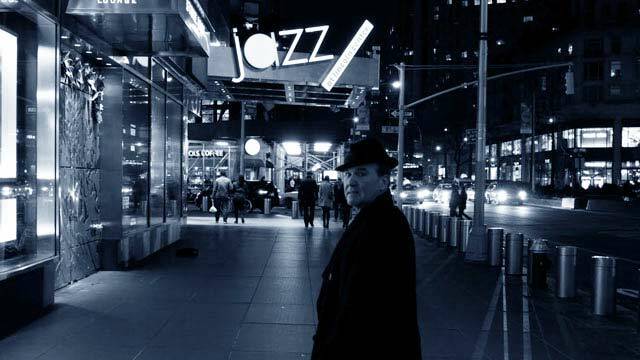 It is also a bold venture for Mr. Greves’ company, Jazz Cat to set out to record these songs. The performance of the ensemble is first rate, responsive in every way and, if anything even more remarkable is the work of the vocalist, Ken Greves, displaying an exceptional expressive range of tone and dynamic. The very opening song, “Night People” sets a profoundly meditative mood and is followed by a nicely pointed account with intrinsic humour in Bob Dorough’s “Small Day Tomorrow”. Mr. Greves follows this up with a beautiful Dorothy Parker number, which shows off his mettle Ï Wished On The Moon” is fresh and urgent and beautifully sprung from the gilded voice of Mr. Greves. Throughout the record, Ken Greves sings with fine purity and great tenderness. He seems eminently qualified to engage in repertoire such as this: soulful songs dense with emotion. But he is equally impressive with more light-hearted fare. However most of the music on this remarkable album is limited to crepuscular themes almost surely chosen for their elementally beautiful words. This is an ideal setting for Mr. Greves who appears to be an emotional singer who digs deep into the narratives and renders the words with a kind of liquid quality. He relishes Broadway and the show tunes that were written for the stage. He brings to life the songs in a most meaningful way. The album is not necessarily one of love songs, but love is a continuing theme. I like very much the manner in which he handles this theme in “The Night We Called It A Day” and, of course, Billy Strayhorn’s incredible “Lush Life”. Both songs are sung with fresh lyricism. The latter, especially is delicately shaded and winningly ardent. Ken Graves is not simply a master of the Love Song. He is master of the Broadway show song and the American Standard as well. He simply has a way with song – any kind of song- because he brings characters to life. And he always has a wonderful band – usually a trio – to back him up. On this record he does not have his regular band with Wells Hanley as music director, but this trio is every bit a fabulous backing band as any. Pianist Frank Ponzio is eloquent and beautiful whether he is in the spotlight or when he recedes from it to let his boss sing. Peter Donovan and Vito Lesczak keeps time with grace and precision. Together they make wonderful music together. This CD is a fine example of that suggestion.